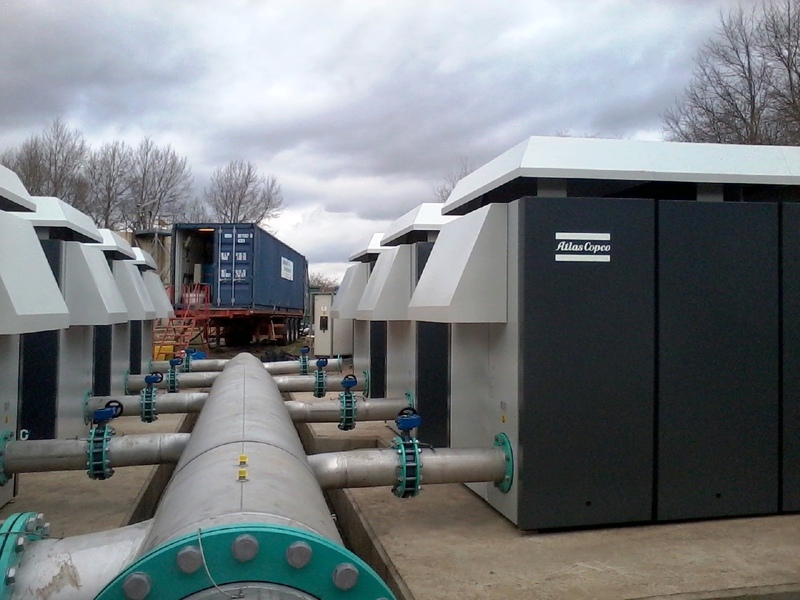 Anglian Water, one of the UK’s largest water and wastewater treatment companies uses Atlas Copco’s low-pressure ZS blowers to supply air to the aeration diffusers at four of its wastewater treatment re-development site. 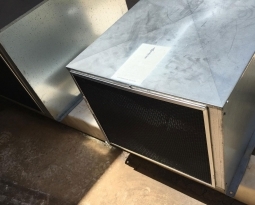 These blowers were being affected by the local environment which contained high levels of insects, dust and pollen. 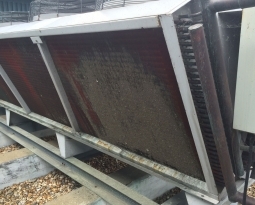 The airborne debris were being sucked into the oil cooling coils which decreased heat dissipation and increased energy running cost. 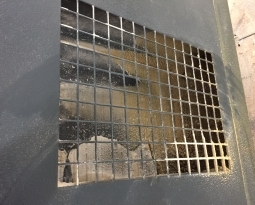 Designed with a weather panel inlet cowl to protect the air intake from water, the inlets were not protected from ground level particulate contamination. After discussions regarding the air intake process, the weather proof cowling was identified as the best location for an external permanent electrostatic filter. 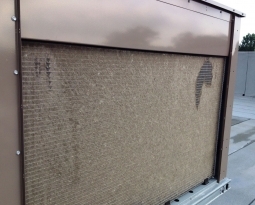 The filter had to be easy to affix and remove, easy to clean, have minimal effect on airflow and capture a high level of airborne debris. 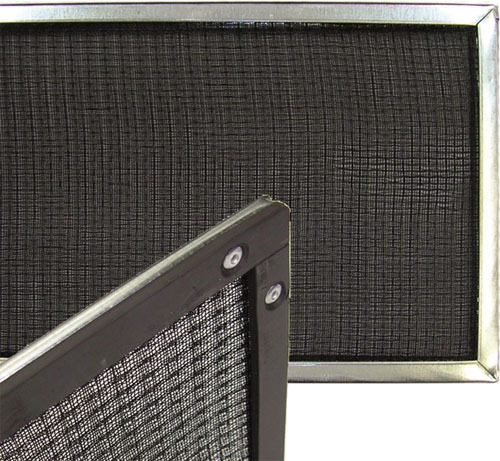 Permatron’s PreVent® Model R filter screen was selected for the job. 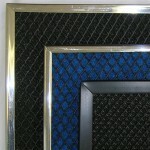 Black honeycomb (BHC) polypropylene media was fitted to a rigid steel frame complete with magnetic strip for easy installation, and cloth pull tabs on the side to enable easy removal. Manufactured to the exact size of the air intake opening the finished product took less than 15 minutes to install. Insects, seeds, feathers, pollen, and dust are all captured by this external filter.